Curio cabinet made from red oak stained light brown. 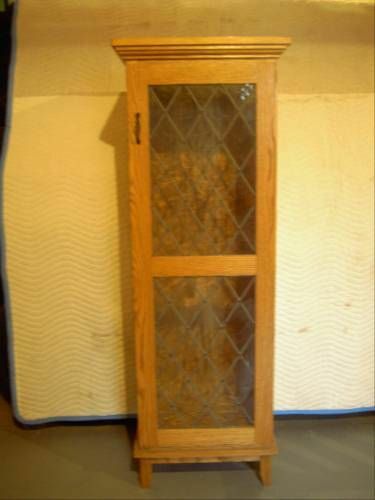 Door has leaded glass panels with anitgue glass. Lighted Has three 1/4 glass shelfs.